Our extensive inventory of antique pottery includes dishes and vessels covering a range of styles and periods including majolica, transferware, ironstone, lustre ware, Art Deco, Aesthetic, Victorian, Art Nouveau, Moroccan and Asian. 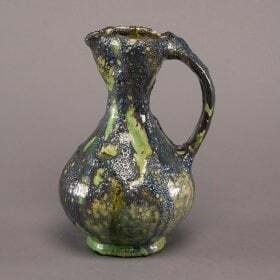 We have impressive selections of pottery by Roger Guerin and several pieces from the Gouda region. 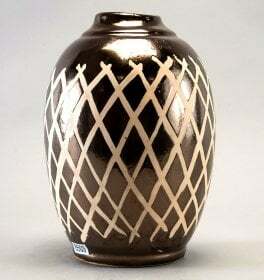 In addition to signed pieces, Judy Frankel looks for unsigned art pottery of exceptional quality and value. Whether you are completing a collection or accessorizing a room, our knowledgeable staff is happy to help.